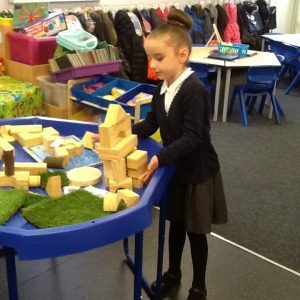 It’s been another busy week in Nursery! 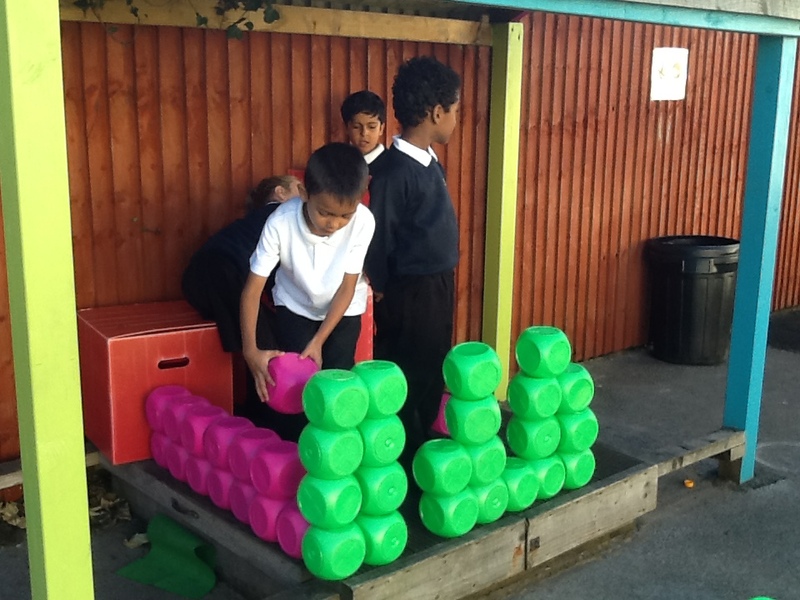 The children have been lucky enough to have some new toys to play with. 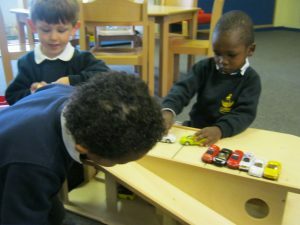 The garage and the dolls house have been popular. 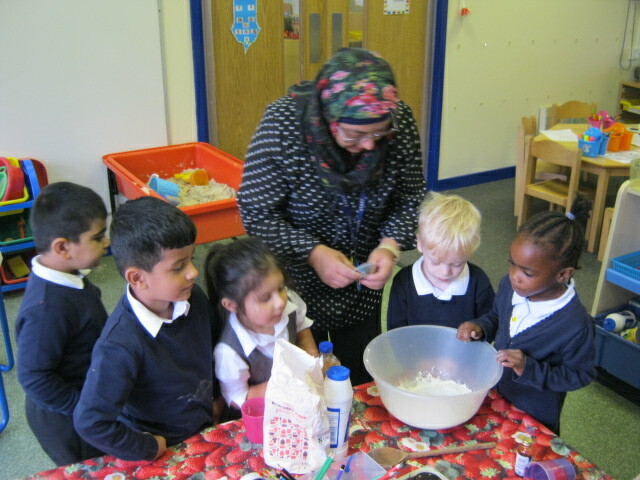 On Monday the children discovered that the play dough had gone sticky so Mrs Ali helped them to make some more. 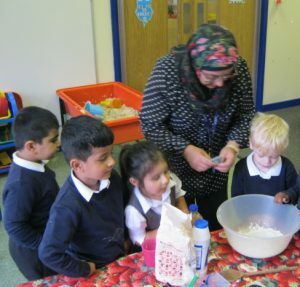 The found out lots about mixing, textures and temperature. Some of the children are becoming very independent. 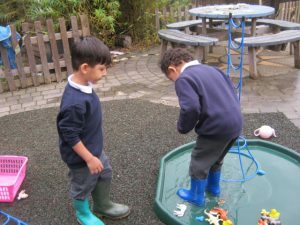 We have all learned a clever way to put on our coats and these boys remembered to put on wellies when splashing in the water! I wonder what next week will bring? 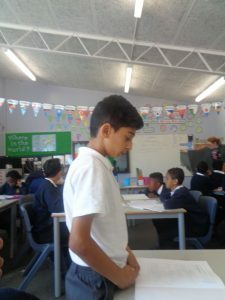 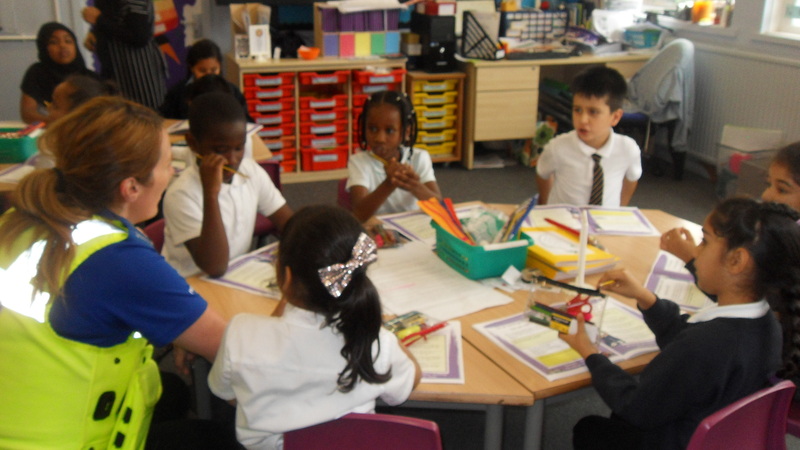 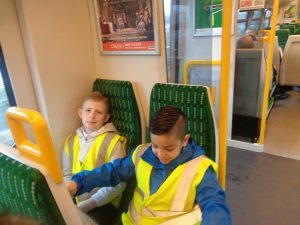 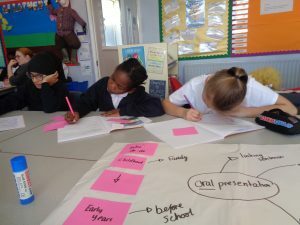 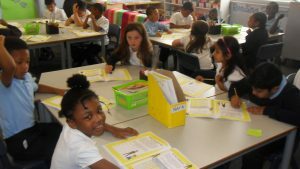 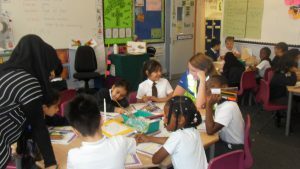 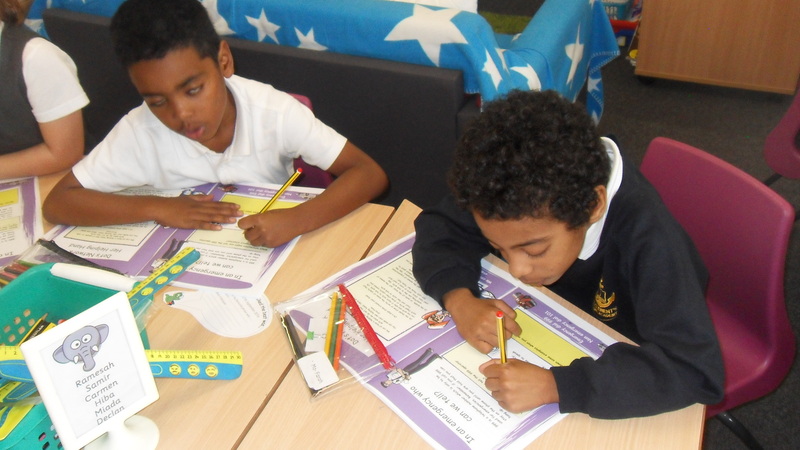 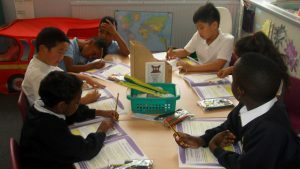 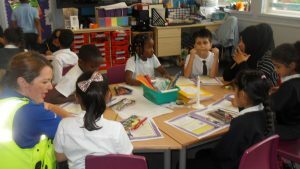 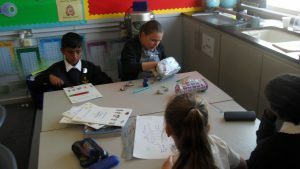 This half term Y3 are focusing on the key question ‘Would celebrating Diwali at home and in the community bring a sense of belonging to a Hindu child?‘ As a class we have discussed our own ideas and views about what belonging is and this week have continued our learning with finding out what is the story behind Diwali. 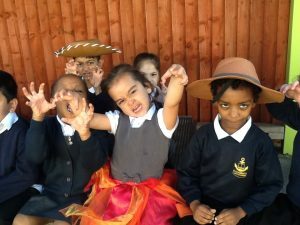 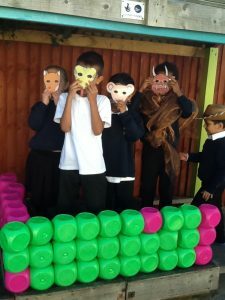 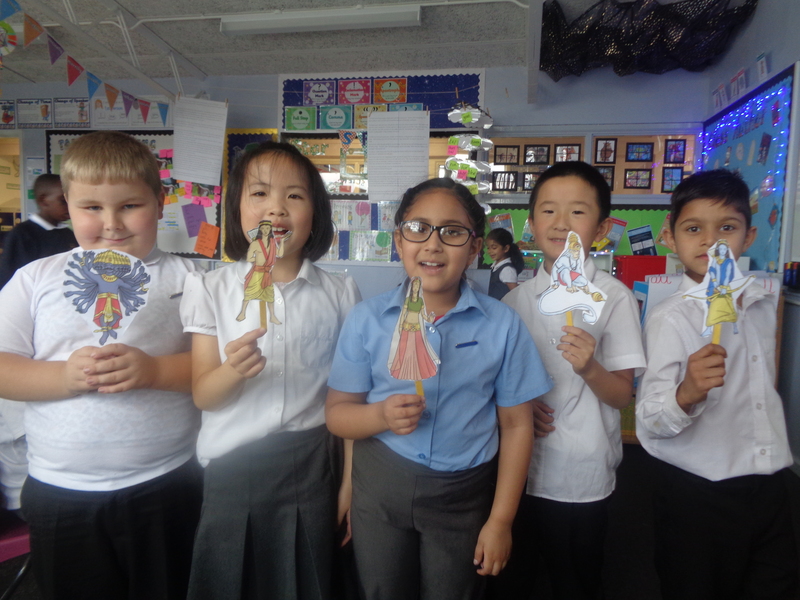 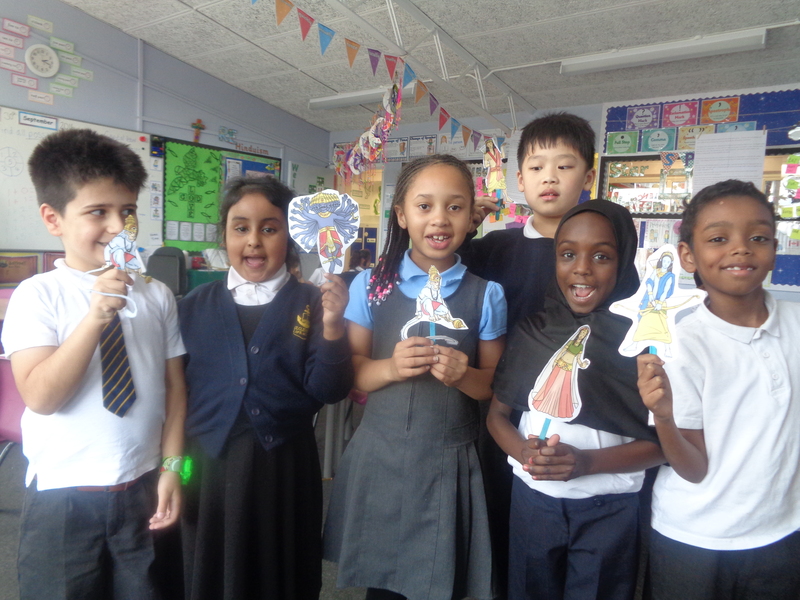 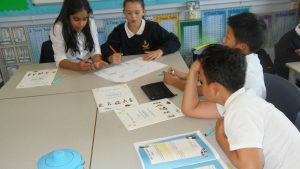 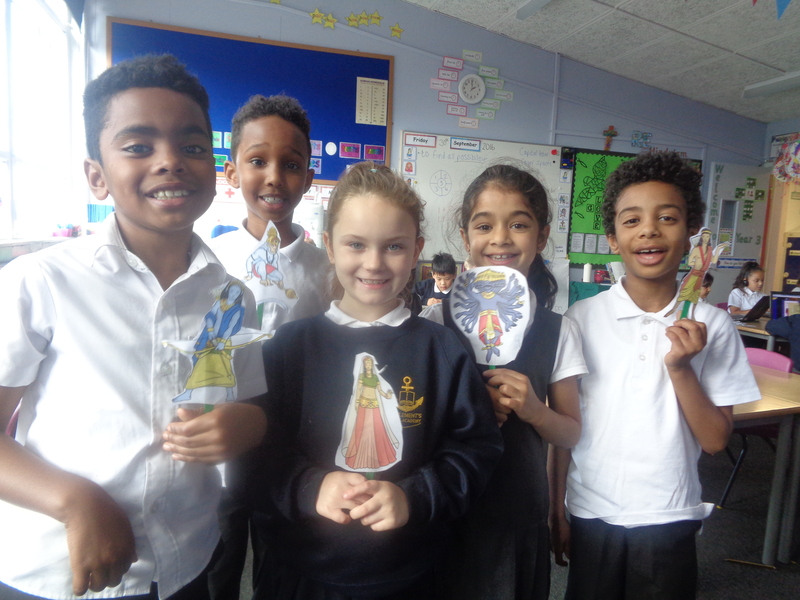 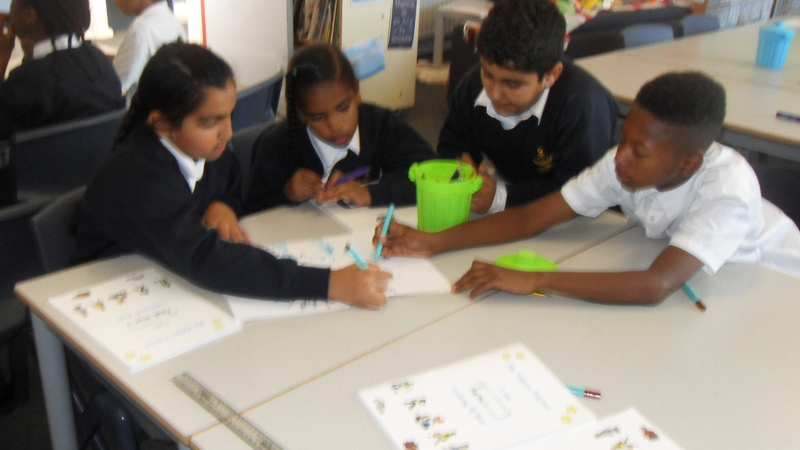 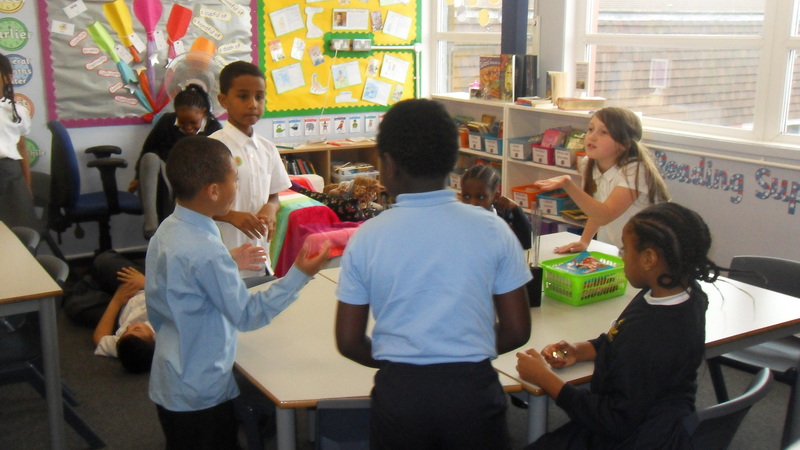 After hearing all about Rama, Sita, Hanuman and Ravana’s adventures, Green class worked with a partner to create a story map.Then they used the map to help them keep track of the key events and characters whilst using their puppets to perform and share their understanding of the story. 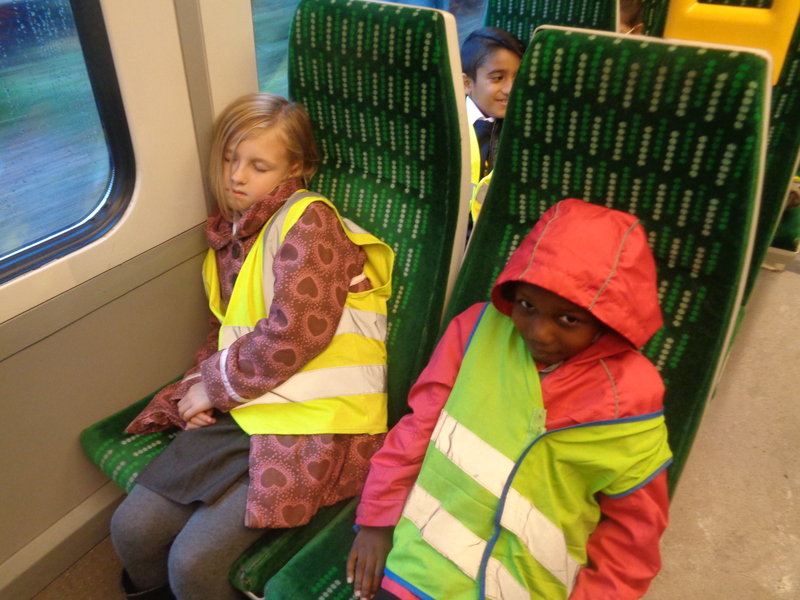 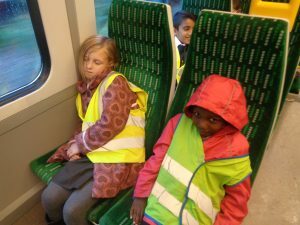 Ask Green class to tell you the story. 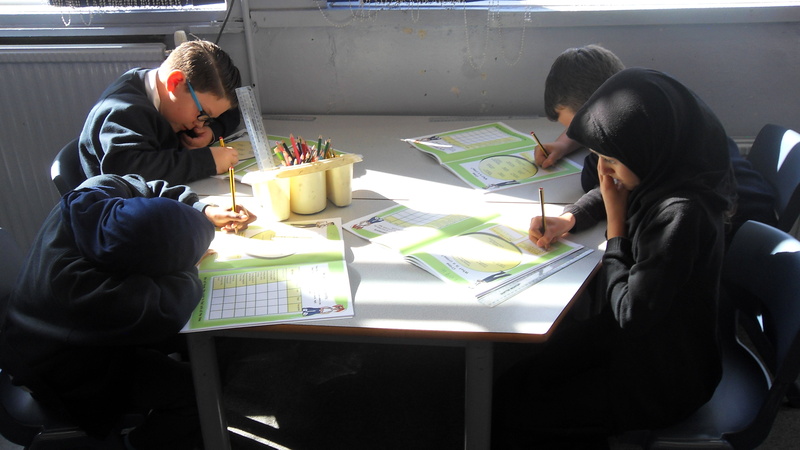 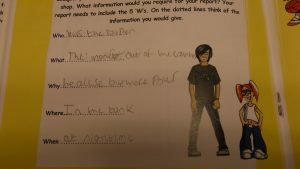 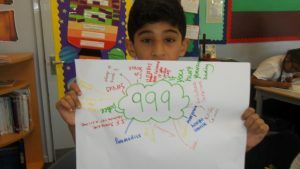 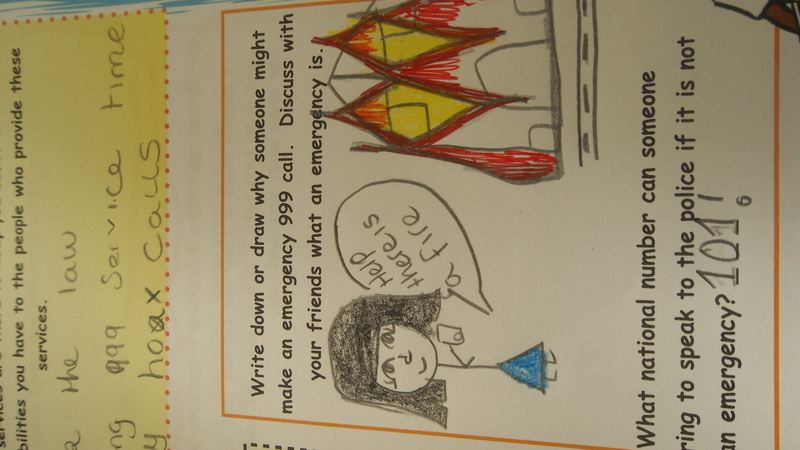 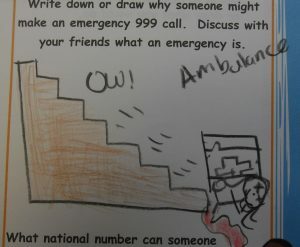 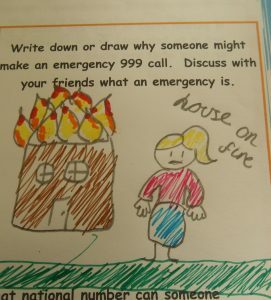 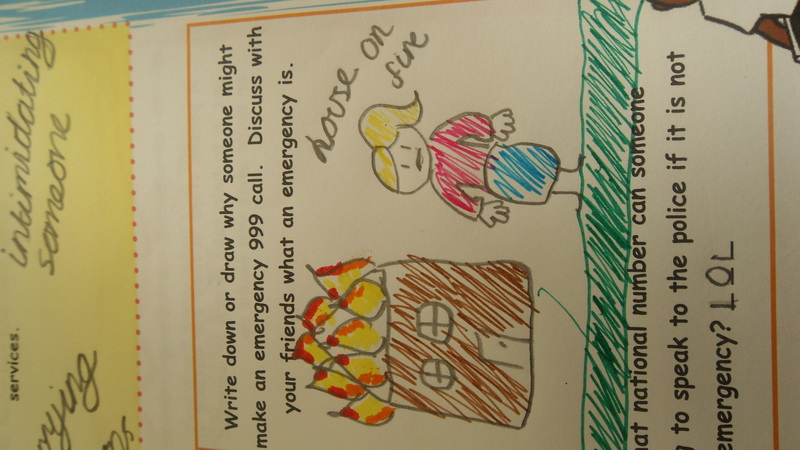 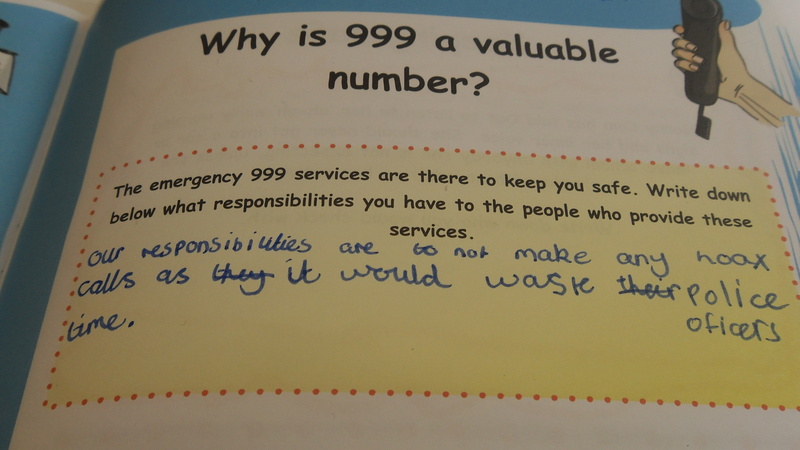 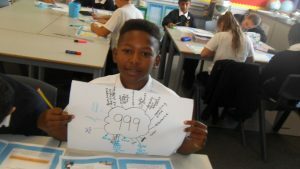 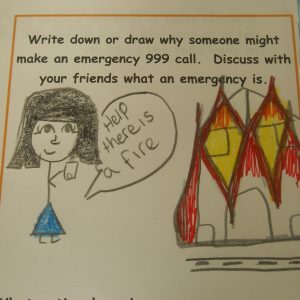 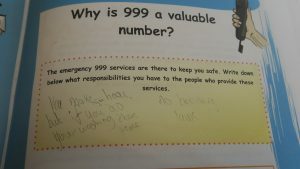 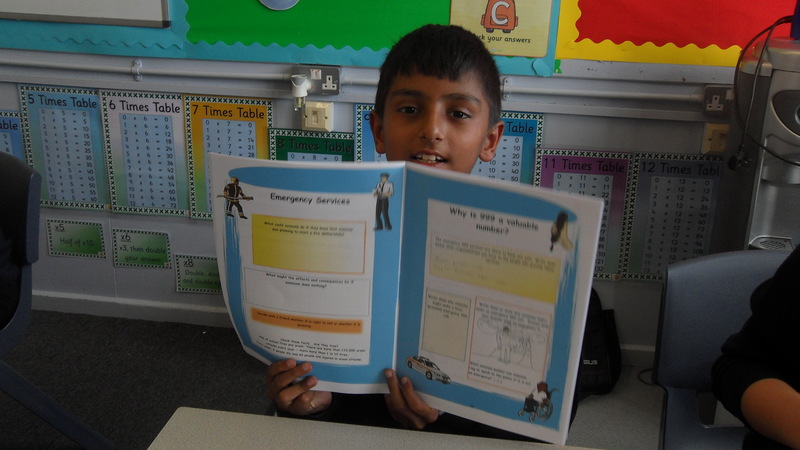 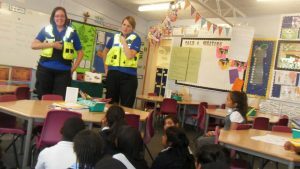 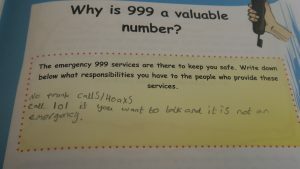 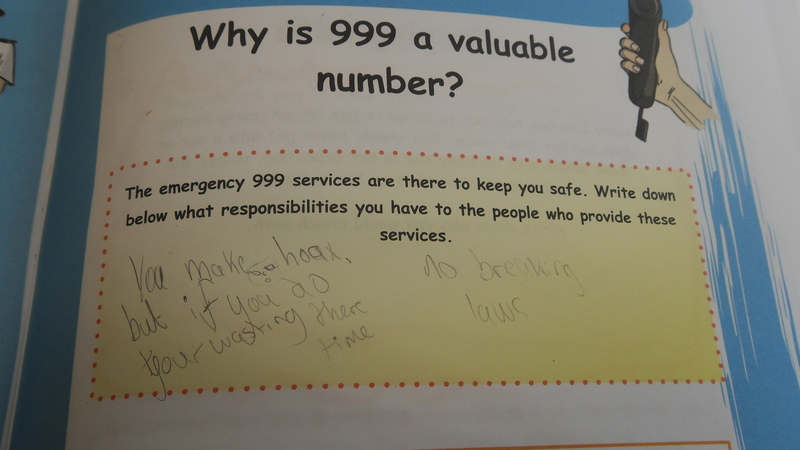 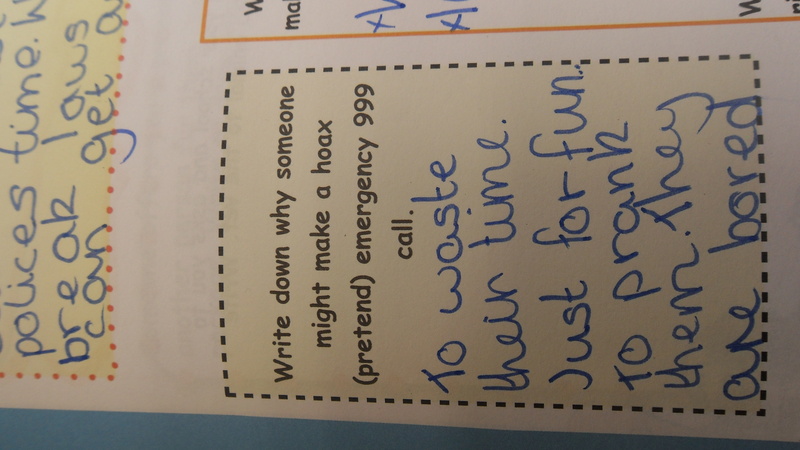 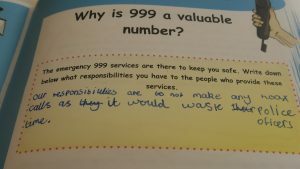 This week, in PSHE, we looked at the service provided by ‘999’. 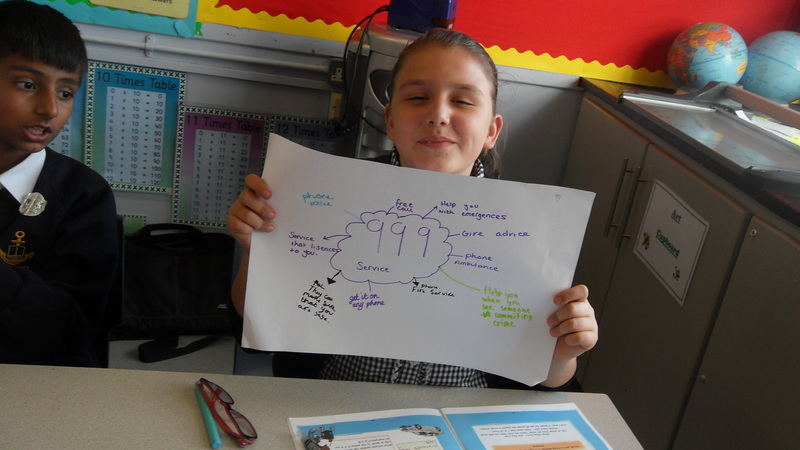 We were able to identify what the services is made up of, discuss why it is valuable and share our ideas on why the service should be respected. 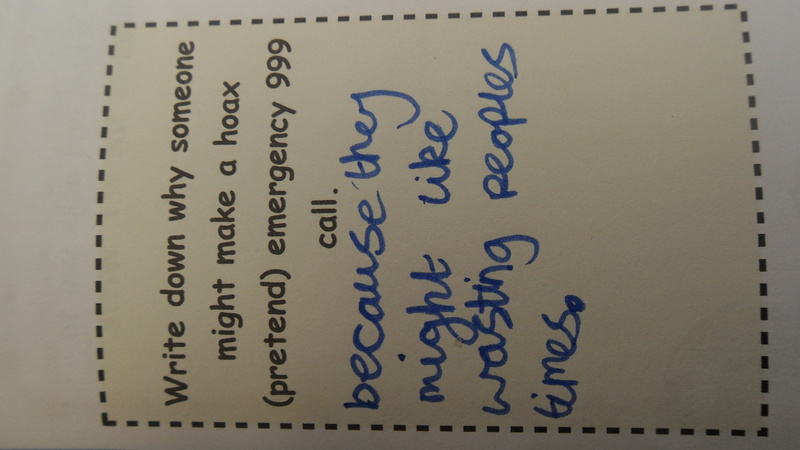 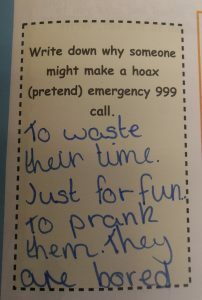 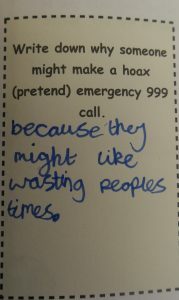 We discussed the meaning of a ‘hoax call’ and the impact this could have on others. 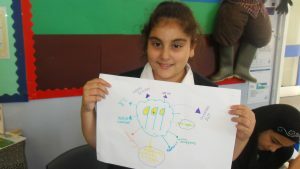 As a group, we were able to create mind maps to show what we knew at the start of the lesson and what we knew at the end. 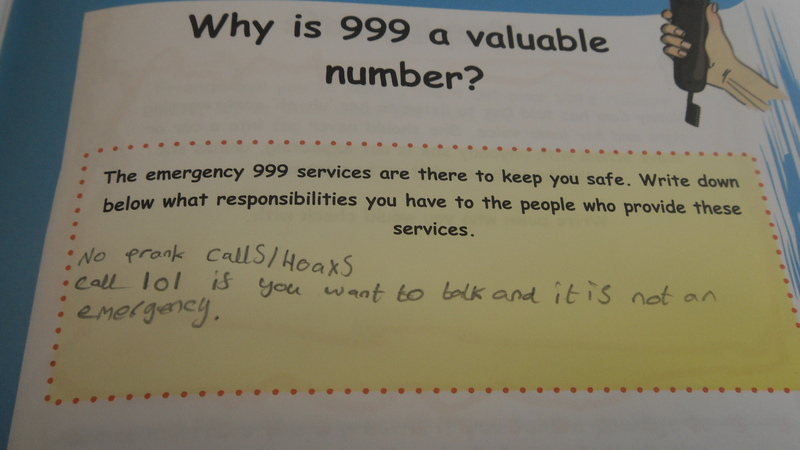 We now know in an emergency we phone ‘999’ and if we want to speak to the police for advice, or to report a crime we call ‘101’. Next week, we will begin to look at the importance of tolerance and respect within a community. 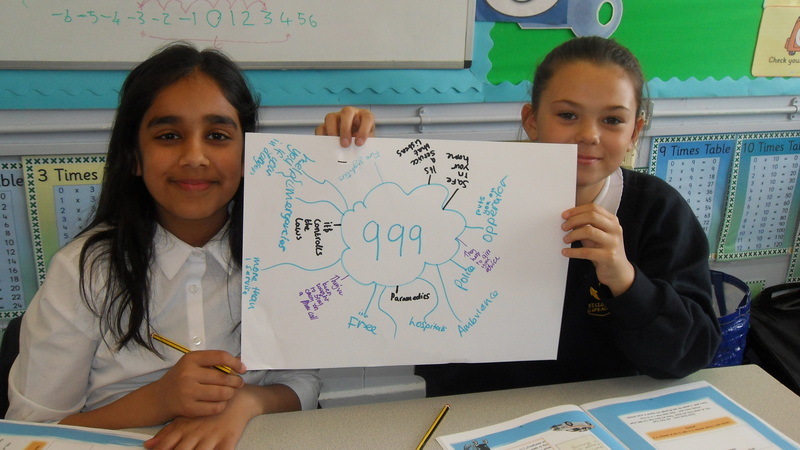 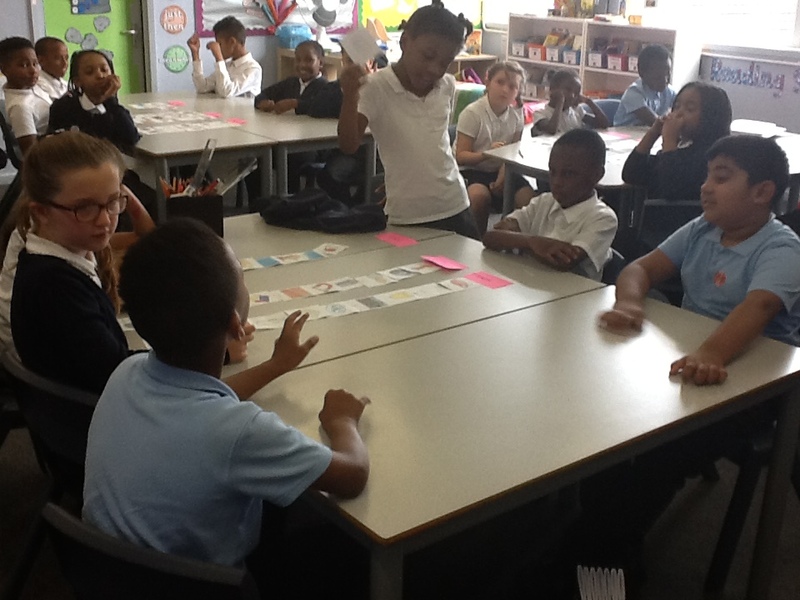 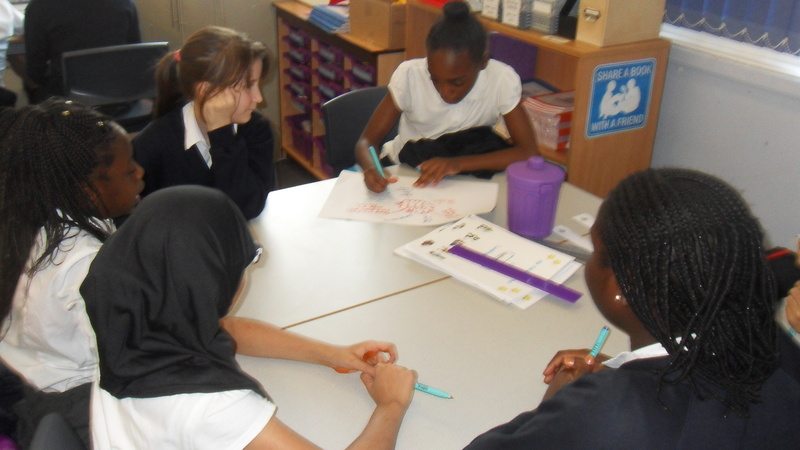 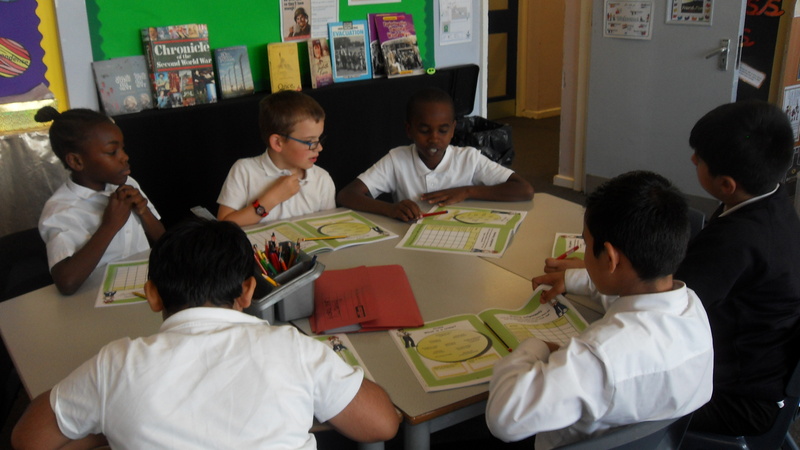 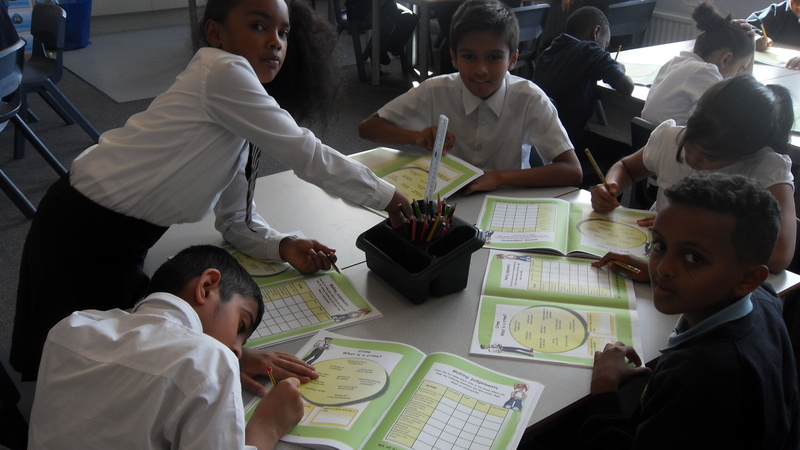 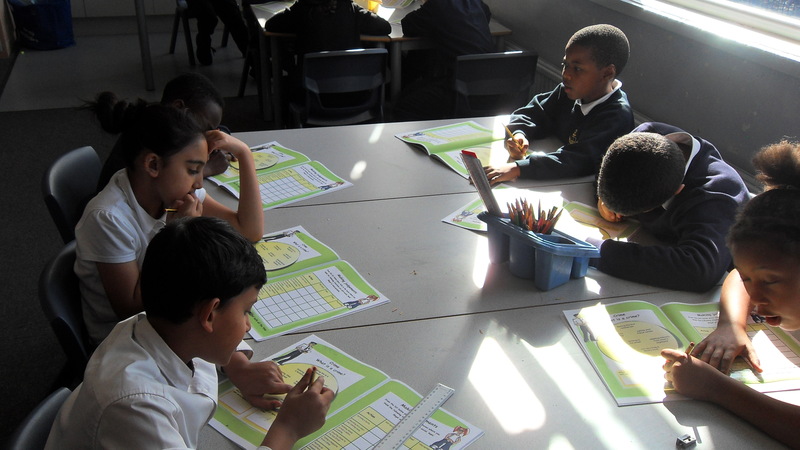 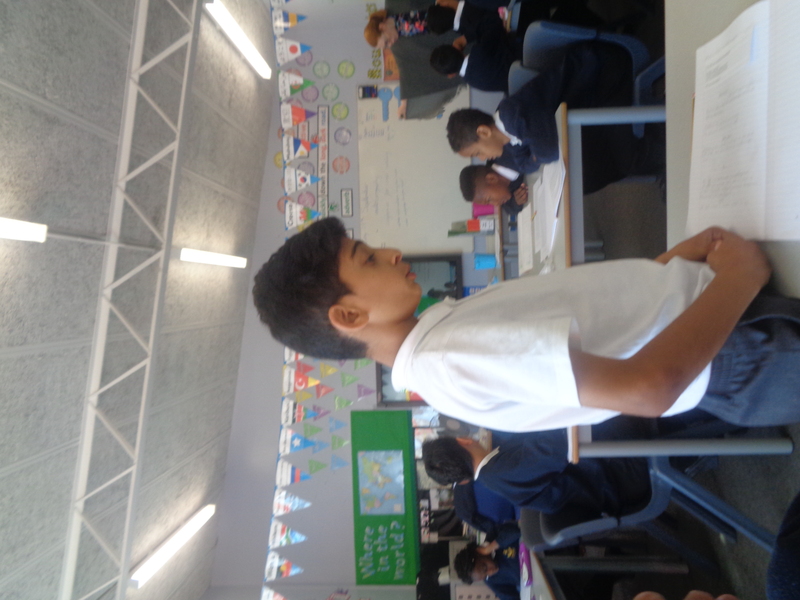 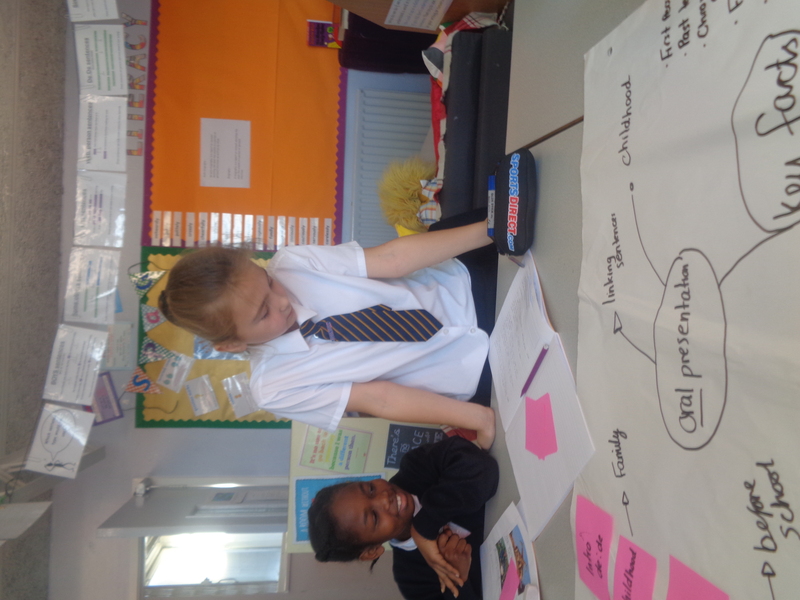 This week, in PSHE, we discussed the difference between crime, unacceptable behaviour and anti-social behaviour. 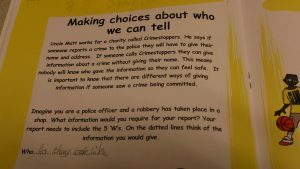 We were able to talk in groups, sort different situations into the three categories and identify the difference between legal and illegal behaviour. 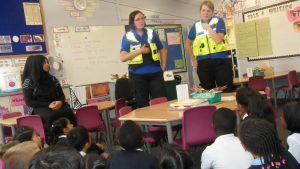 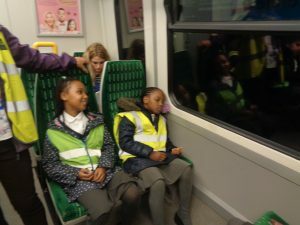 We now know that a crime is when a law has been broken, anti-social behaviour is acting in a manor that causes harassment, alarm or distress to others and unacceptable behaviour is when we do something that is not nice, or not allowed. Next week, we will begin to look at the meaning of community. 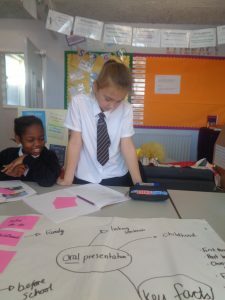 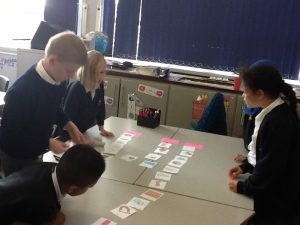 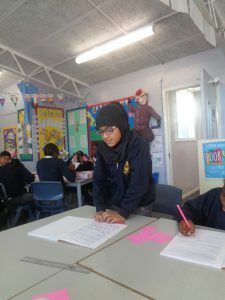 This week year 6 have been thinking about their history and what makes them unique. 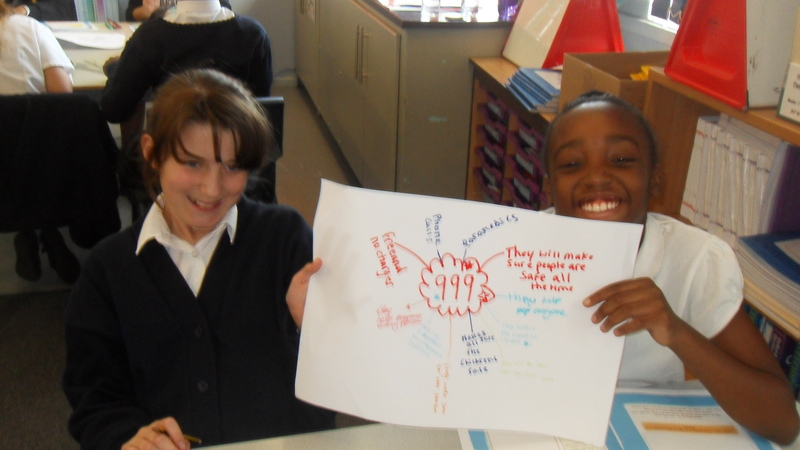 This weeks theme in writing has been autobiography, we have looked at the features and have read some. We talked about what has happened in our past and they presented their autobiography orally to a small group. 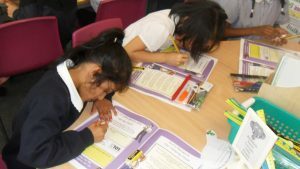 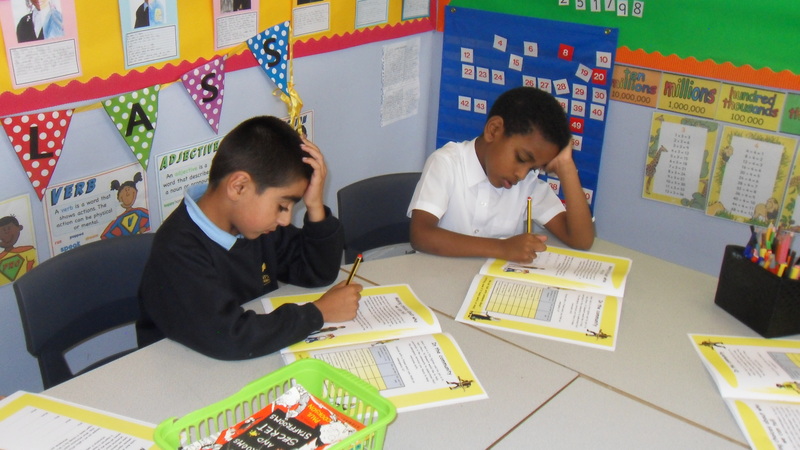 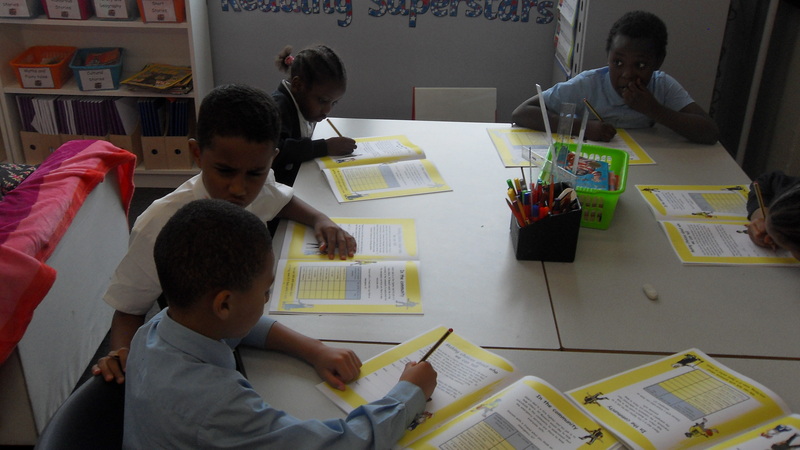 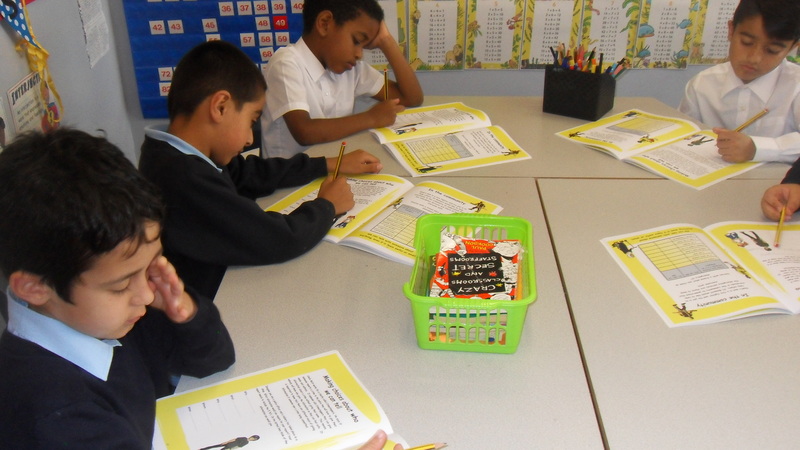 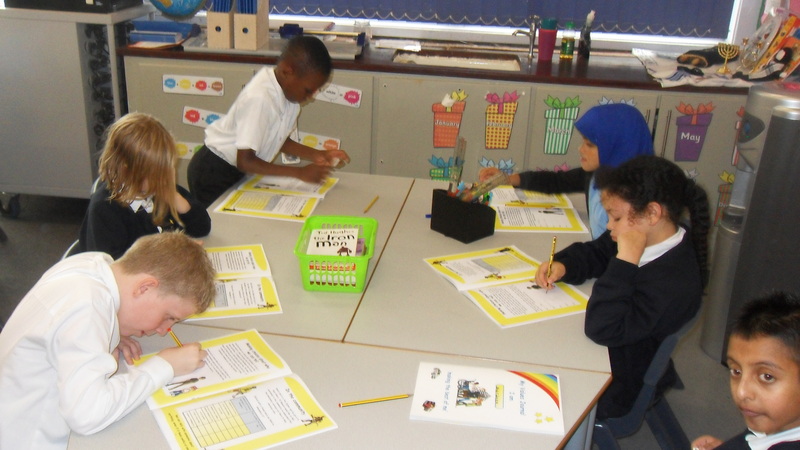 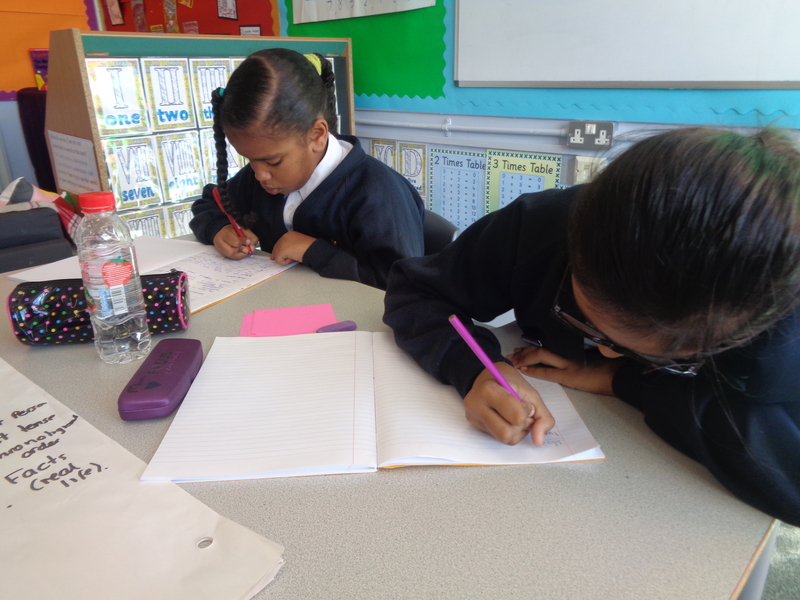 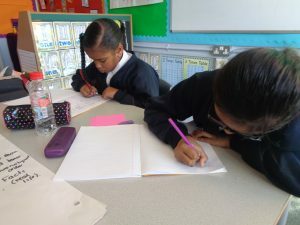 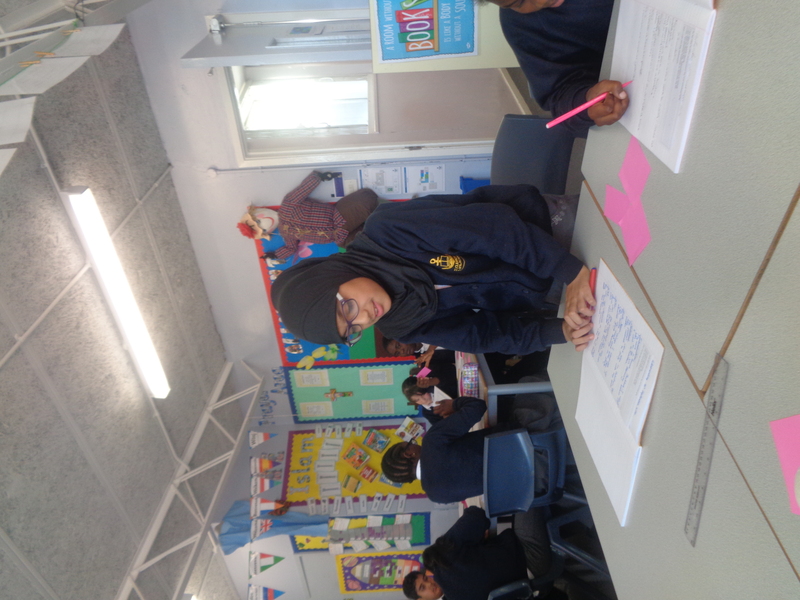 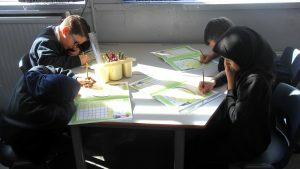 Today they will be writing their autobiography, keep your eyes peeled for some examples of their writing coming soon! 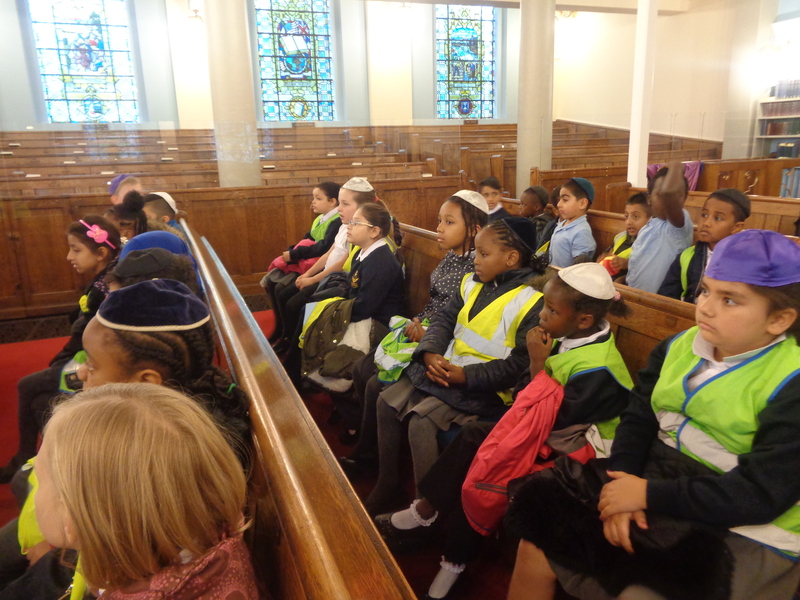 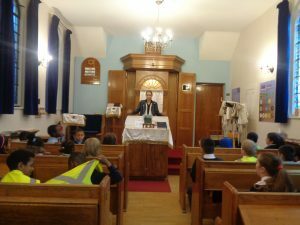 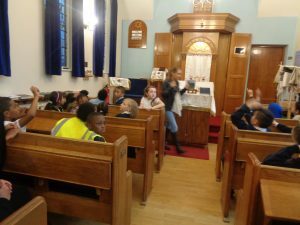 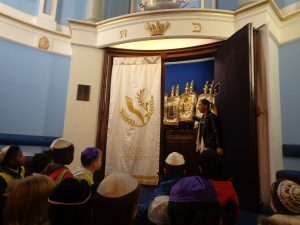 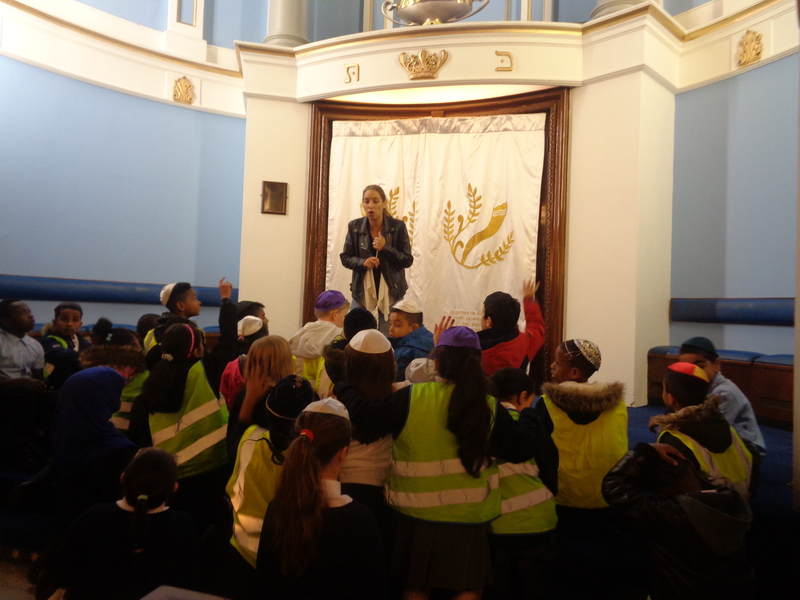 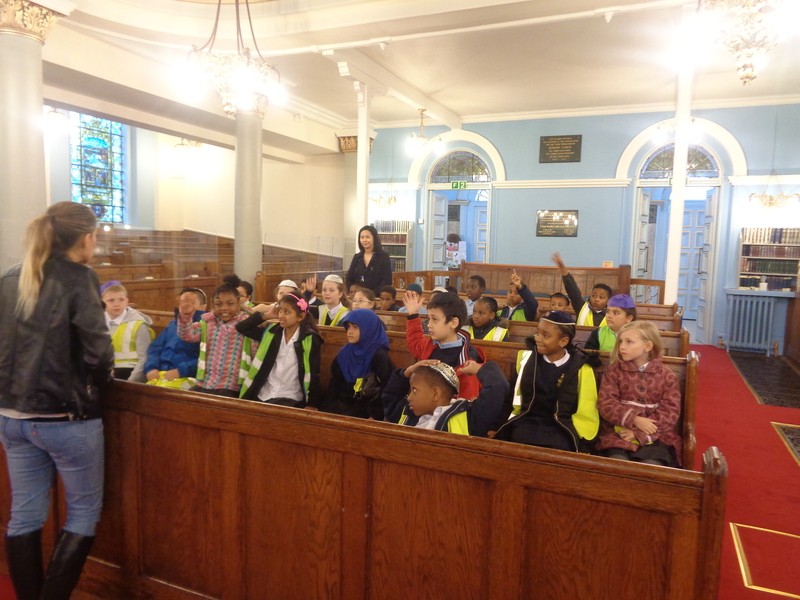 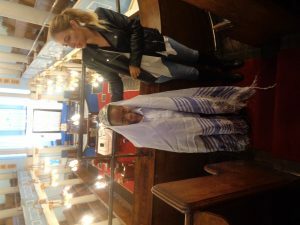 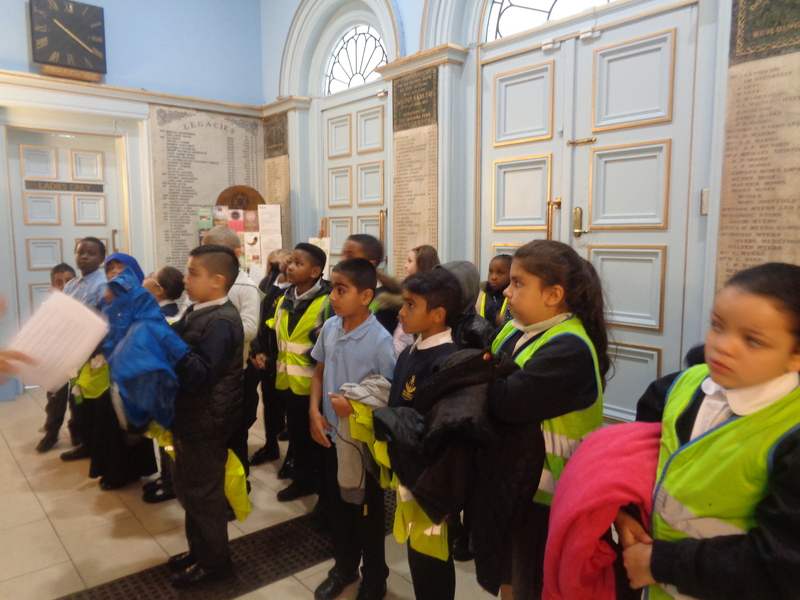 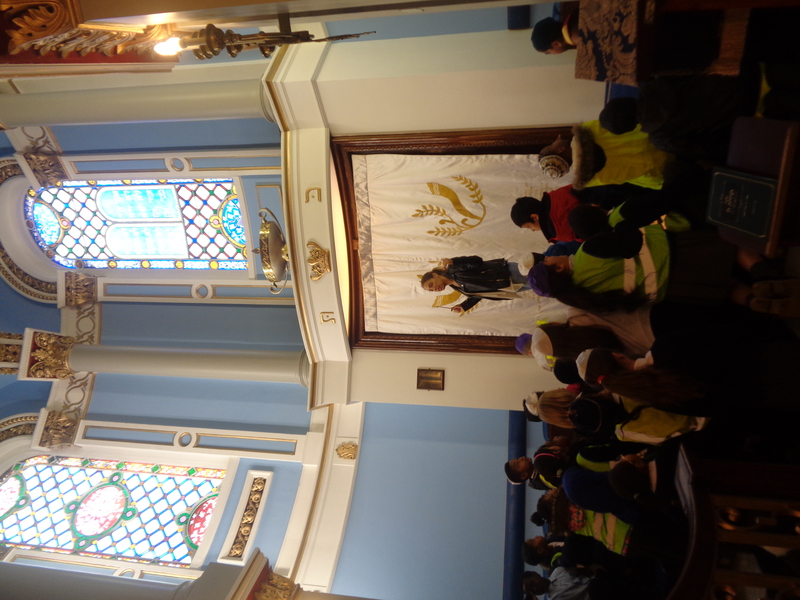 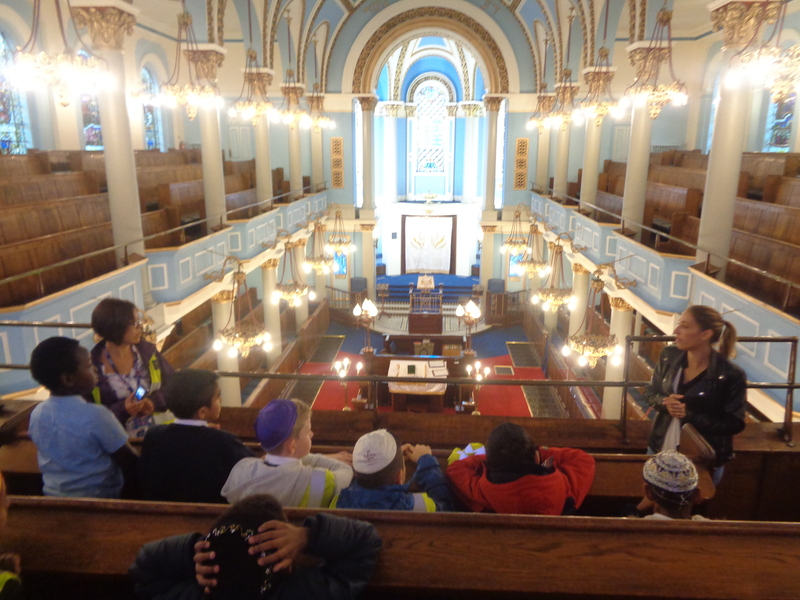 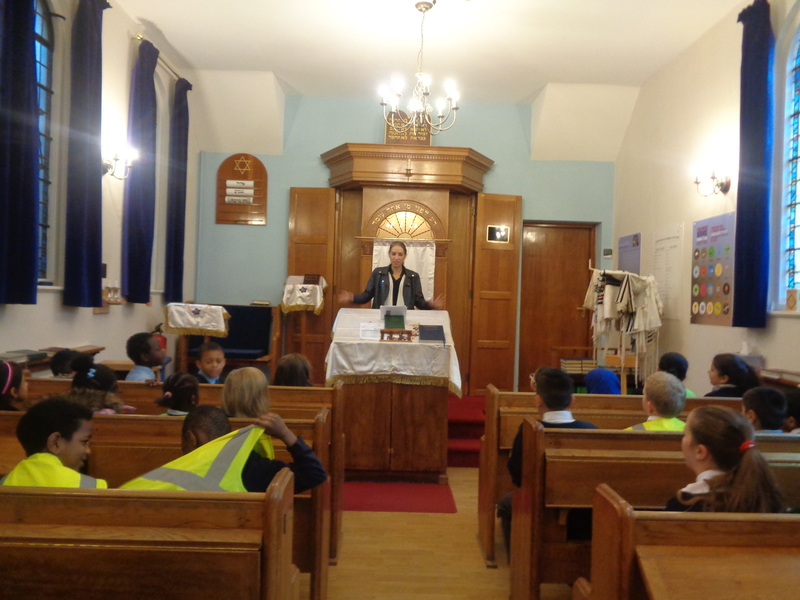 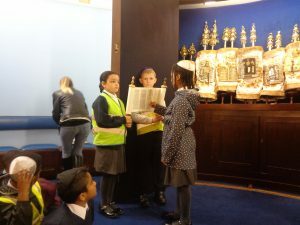 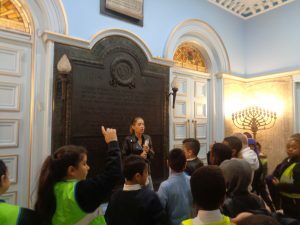 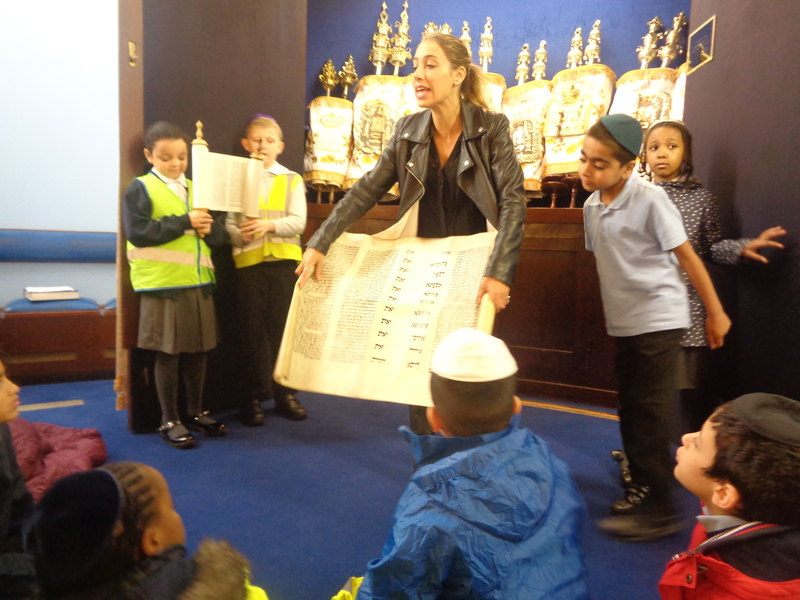 Year 4 visited Singers Hill Synagogue as part of our exciting work in Judaism. 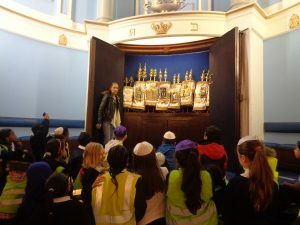 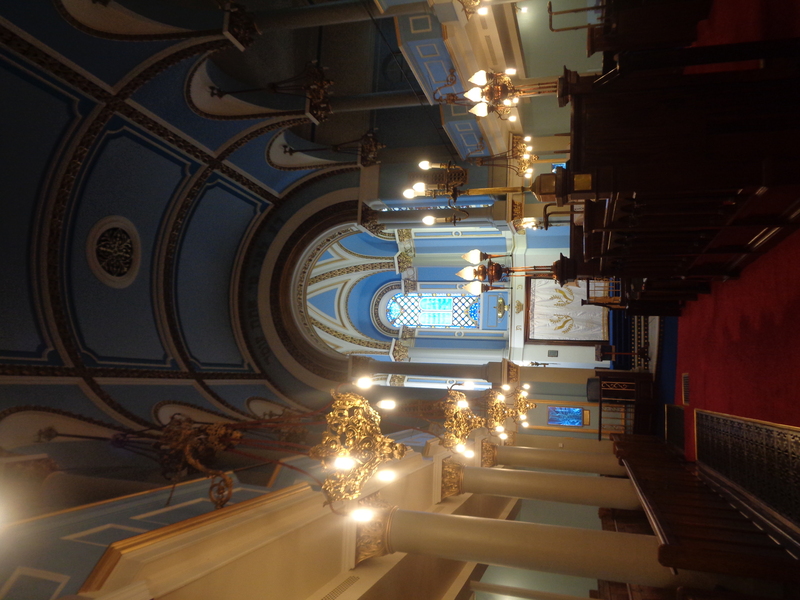 During our visit we were able to look around the beautiful synagogue to learn more about Jewish history and traditions. 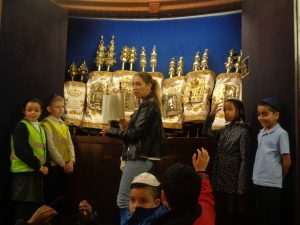 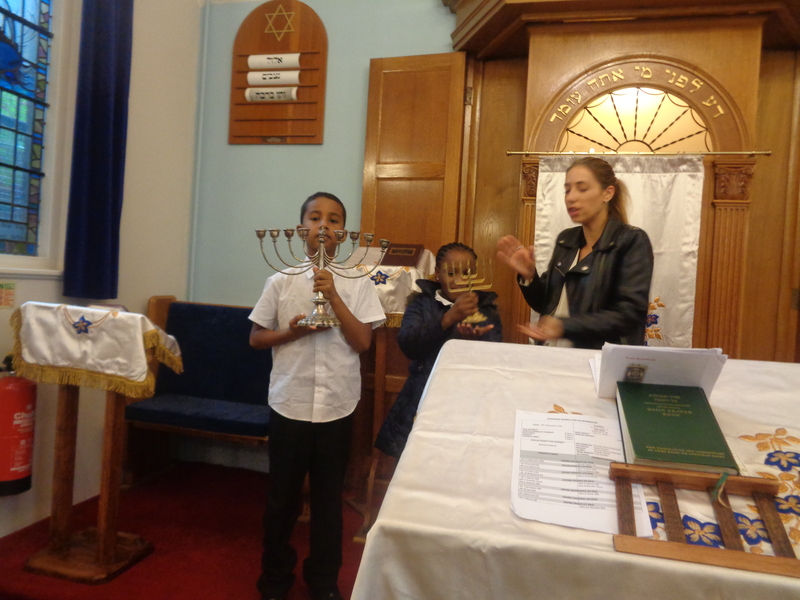 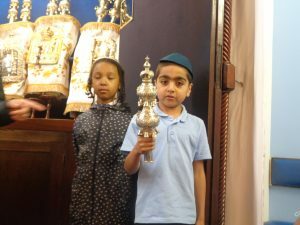 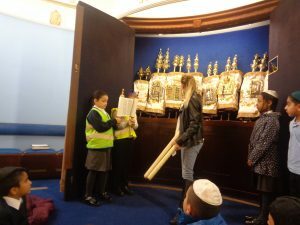 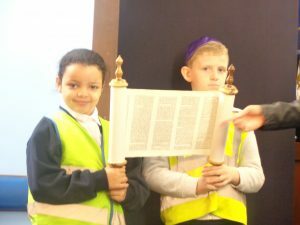 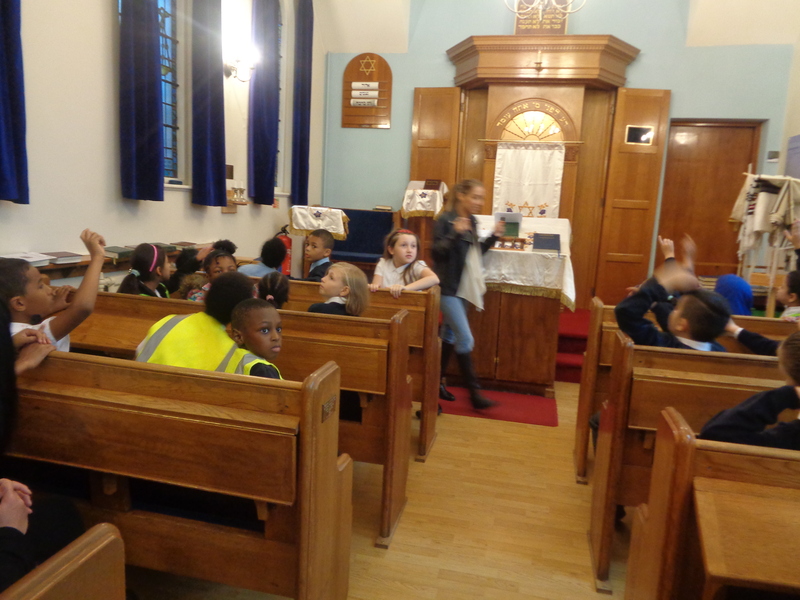 When we entered the synagogue we identified Jewish symbols and artifact and learnt more about how they are used in the Jewish faith. 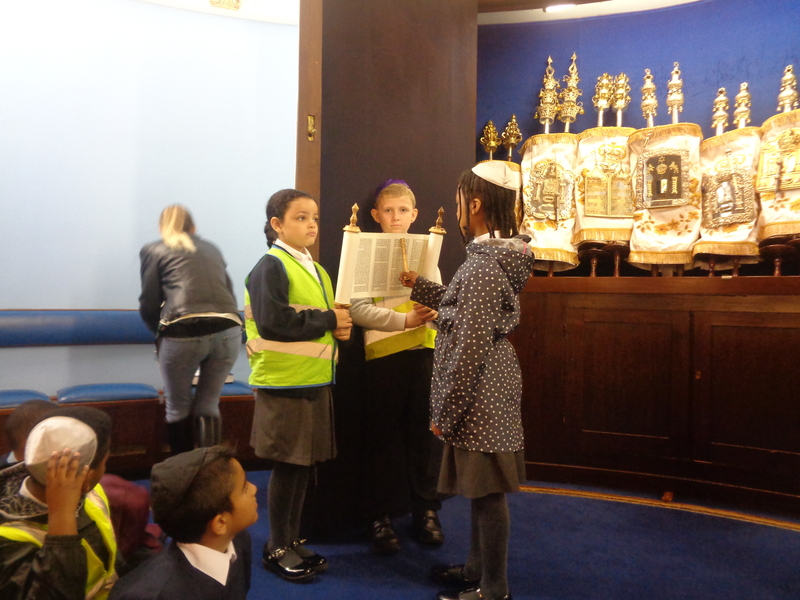 We wore kippahs, which are traditionally worn by Jewish boys during prayer. We were able to see inside the ark and look at the special Torah scrolls. 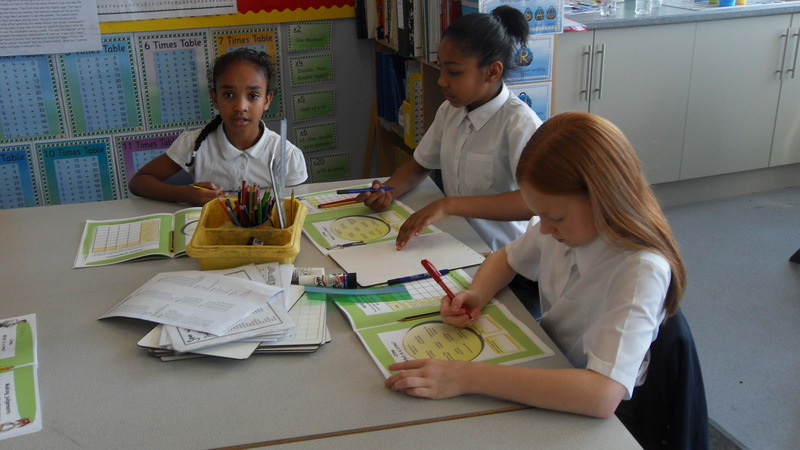 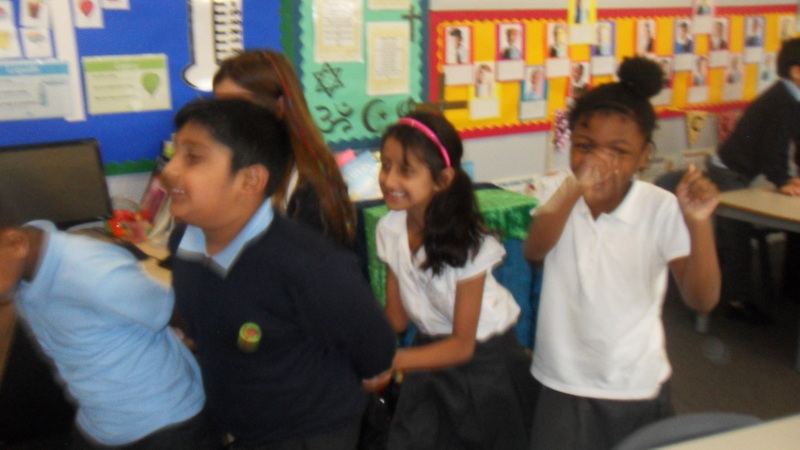 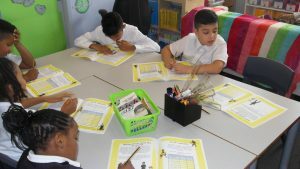 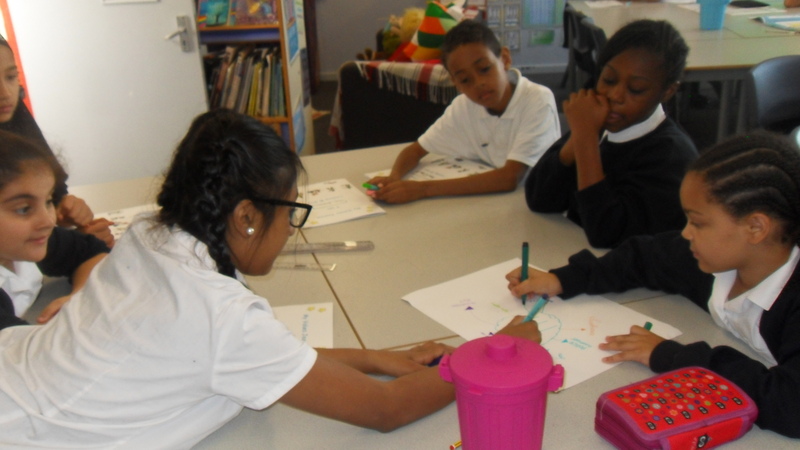 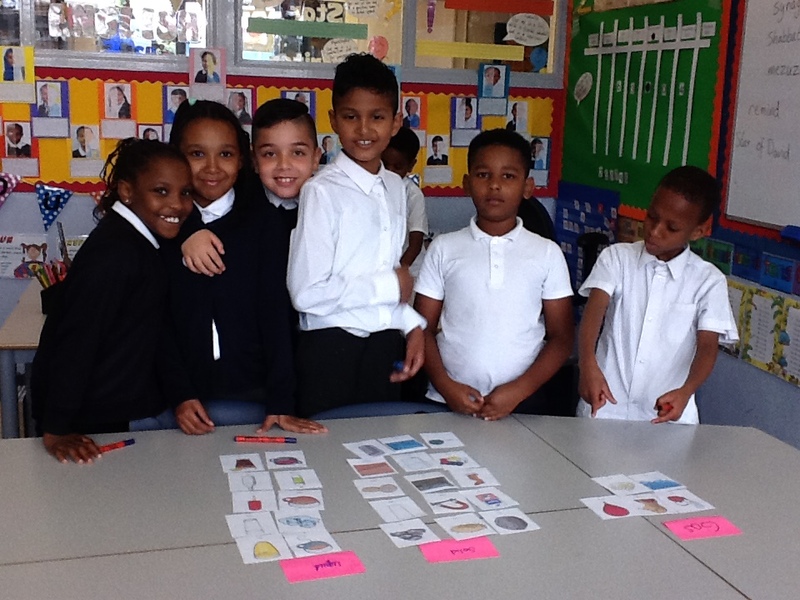 Year 4 have been learning about their new science topic states of matter. 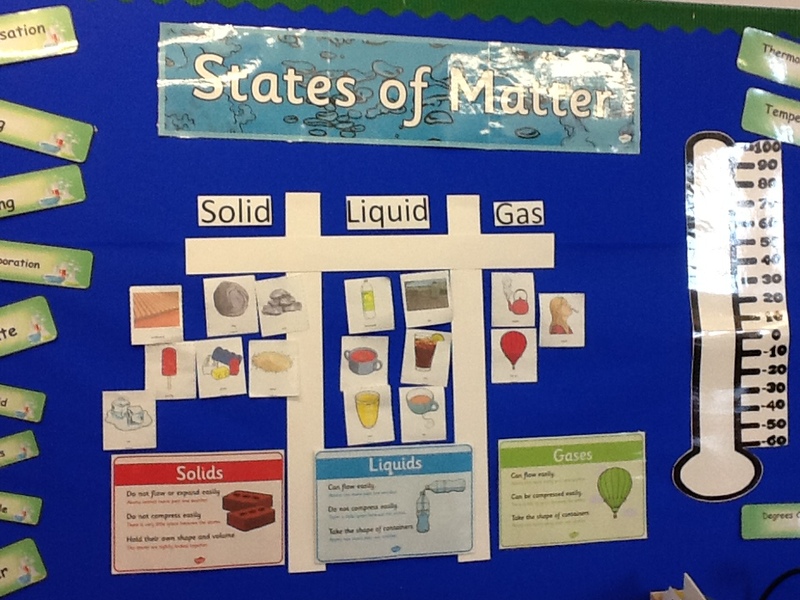 We worked in groups to classify materials into solids, liquids and gases. 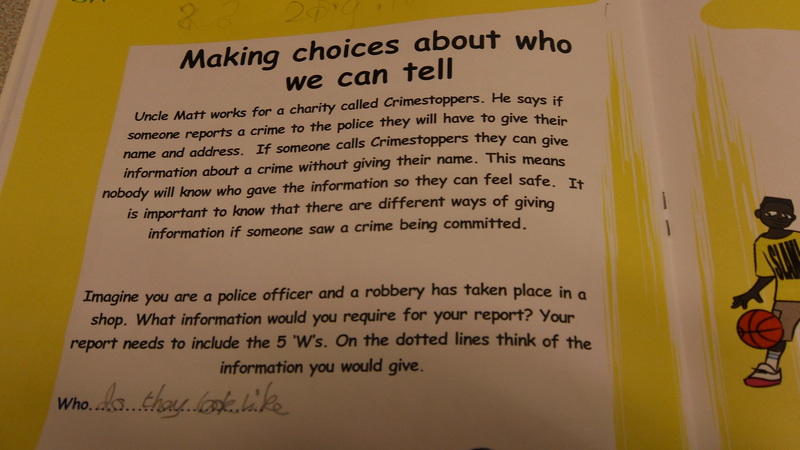 We shared our work with the class and justified our reasons for our choices. 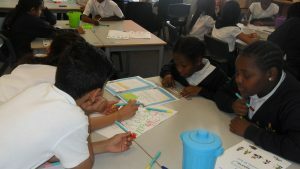 We learnt more about the properties of the three materials. 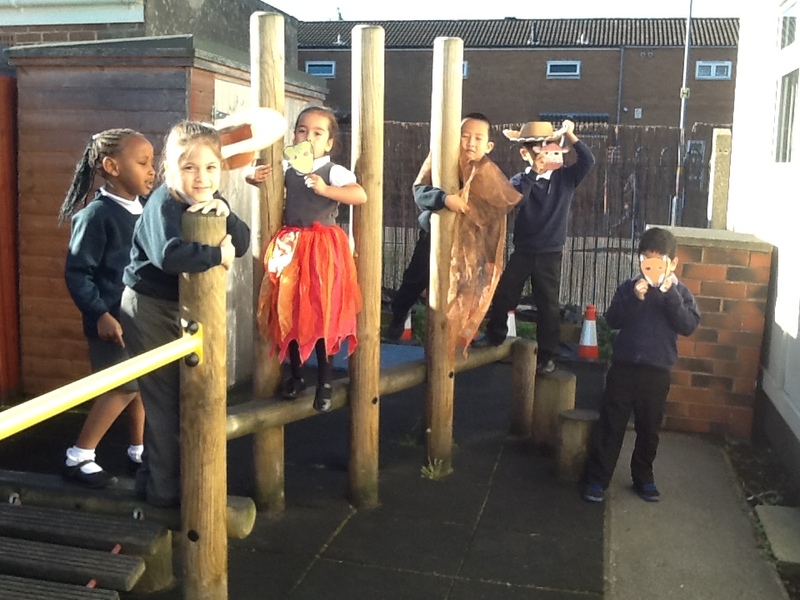 This week in Year 1 we started our learning based around the Gruffalo. We have been busy making models of the Gruffalo and making our very own stick puppets of the characters. 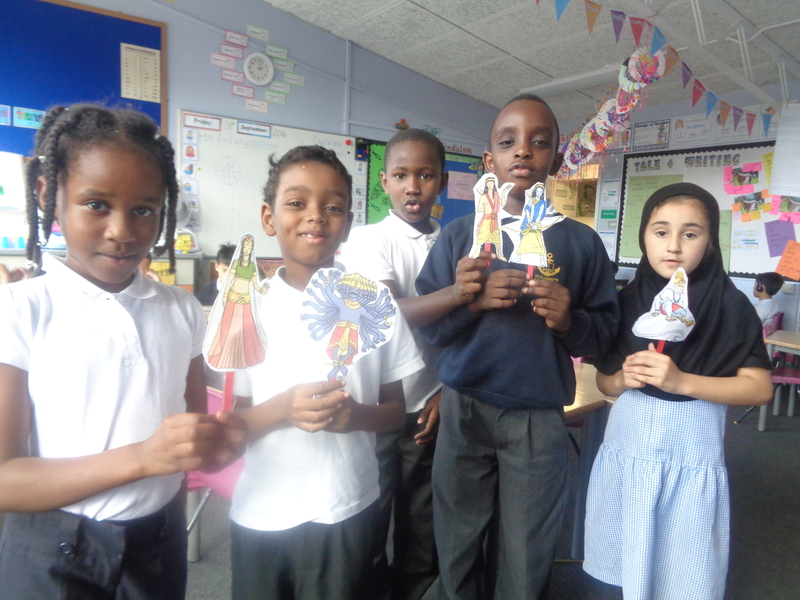 We have used a range of resources, skills and our imaginations to create our puppets. 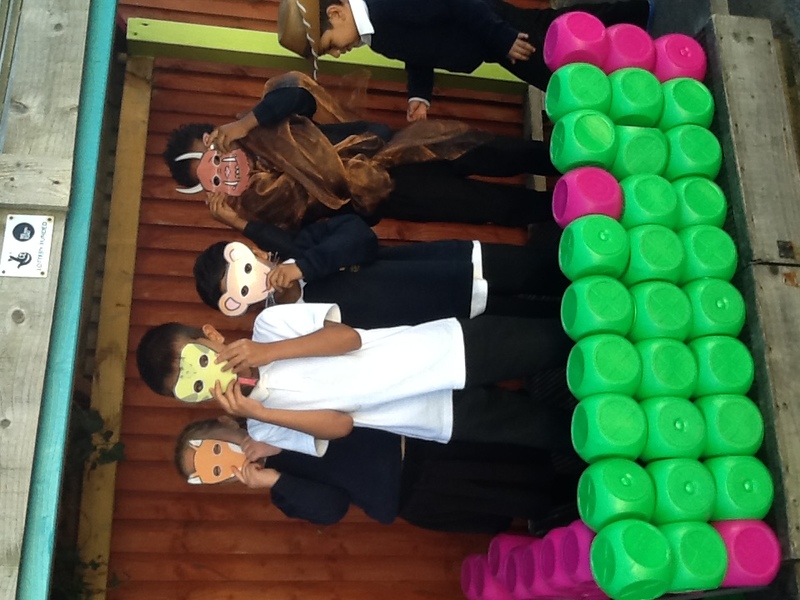 The children then decided to use them to re-tell the story in the forest small world. 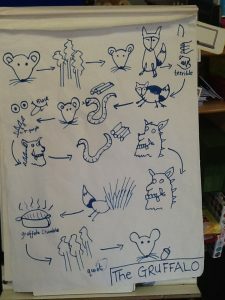 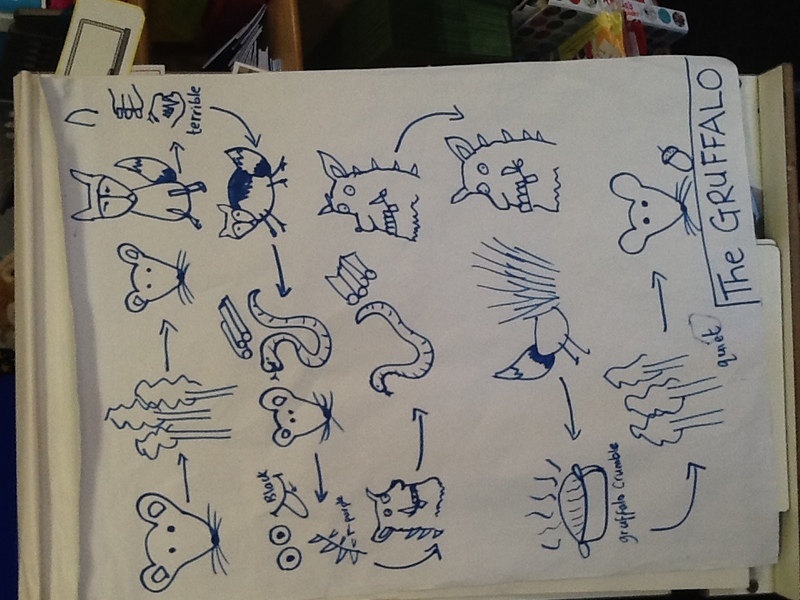 We have also been learning to re-tell the story of the Gruffalo off by heart. 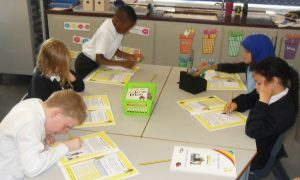 In order to help us learn the story we have created story maps and as a class come up with actions. 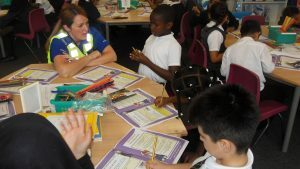 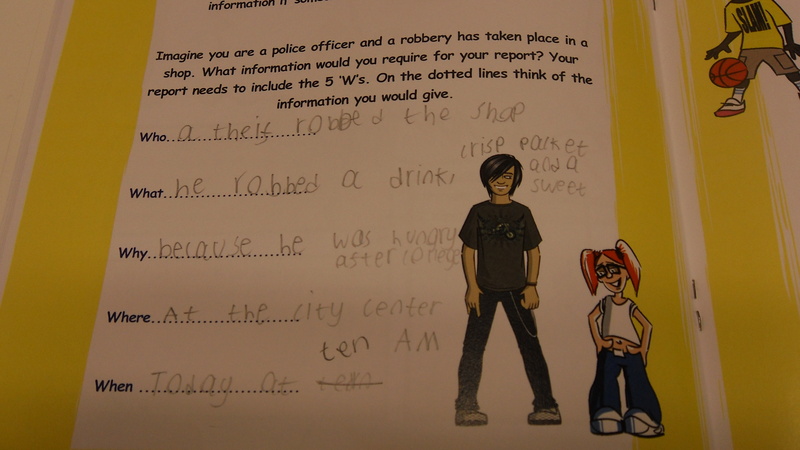 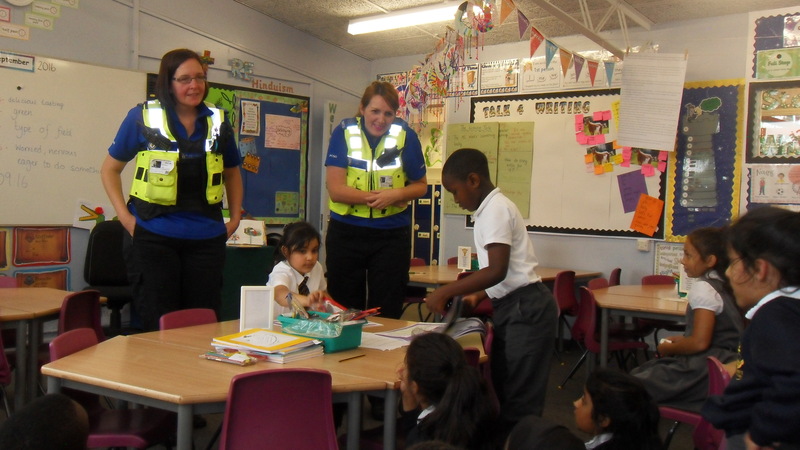 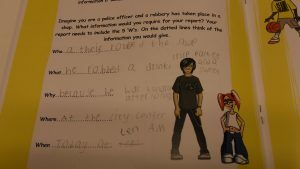 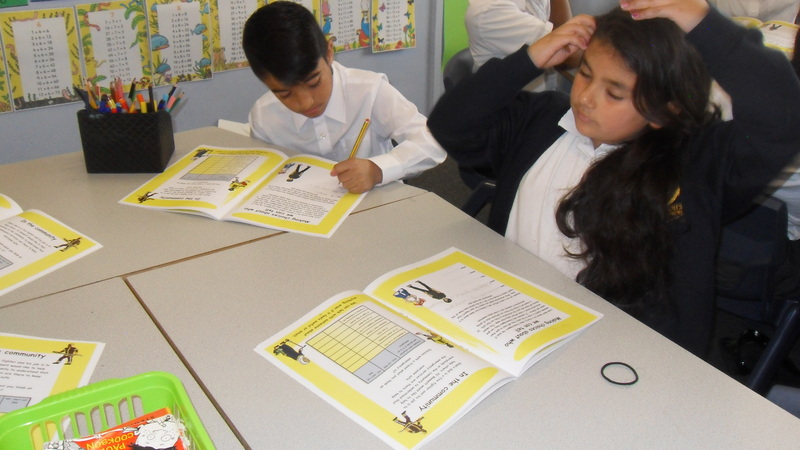 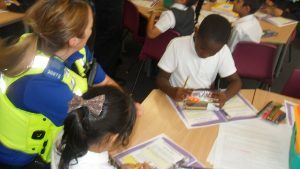 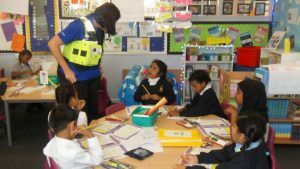 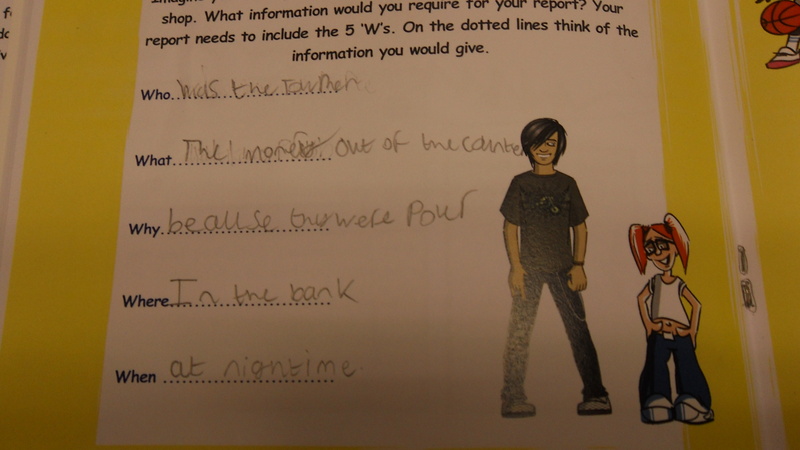 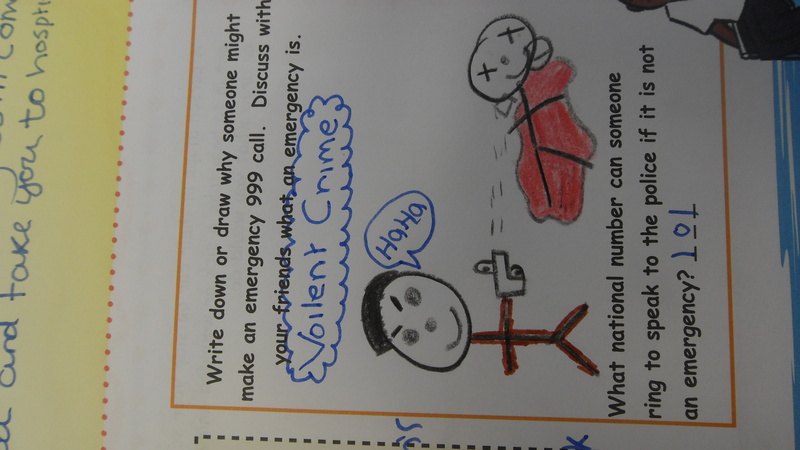 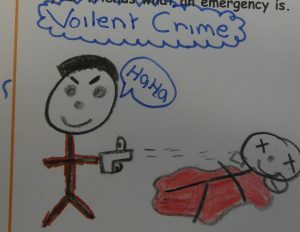 During PSHE this week, we looked at how Police Officers report crimes and the information they need to know. 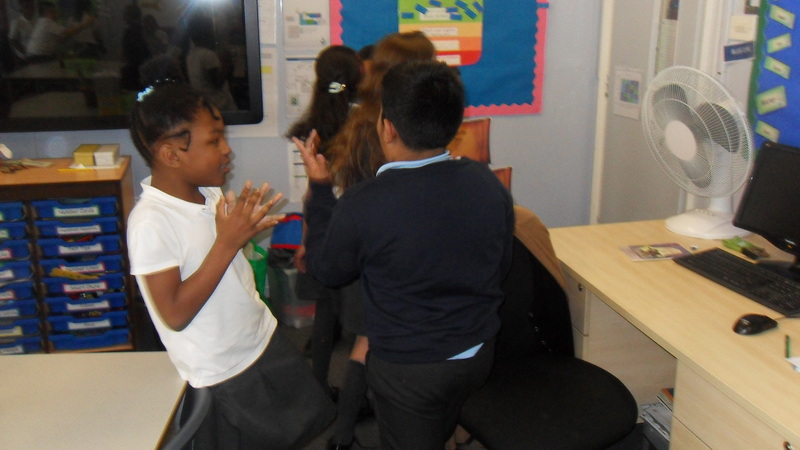 We used drama to showcase our work and completed police reports for the crimes we acted out. 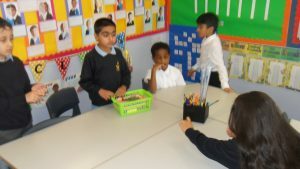 We were able to work together in small groups to plan our drama and enjoyed presenting our work to the rest of the class. 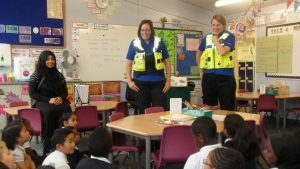 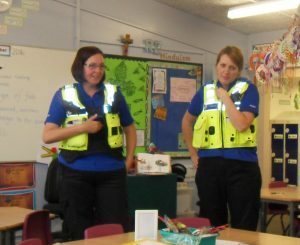 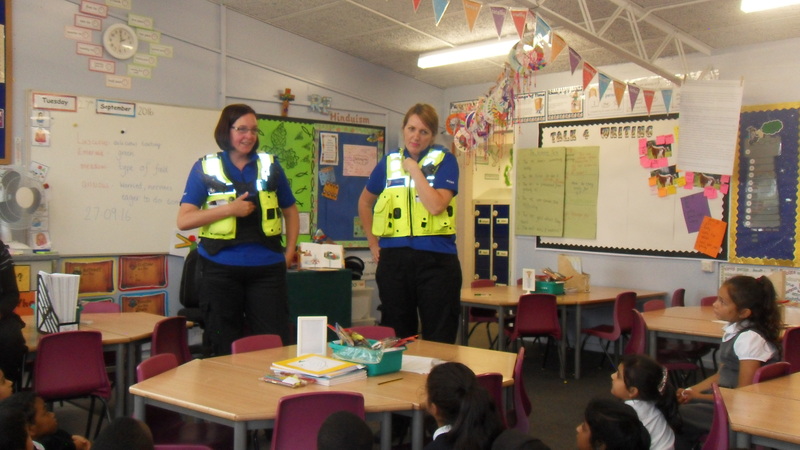 Today, we welcomed two special visitors to the school, who helped us with our lesson on, ‘The Emergency Services’. We discussed the importance of the, 999, service and how it should be respected. In table groups, we talked about when we might call 999 and the information we would need to know to share with the operator. 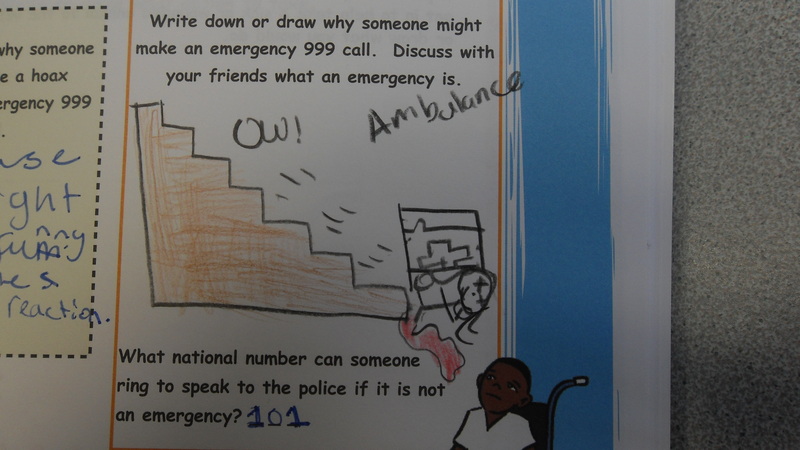 The two officers also helped us understand the purpose of the number, 101, and when we might need to use this. 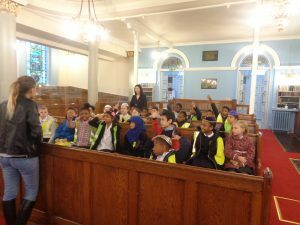 The lesson was great fun and a fabulous opportunity to ask lots of questions.